Ready. Set. Race! This online engagement campaign for NASCAR fans at home, in Daytona Beach, Florida or on the go is through a mix of digital and social media activation, and original television creative. Fans are invited to put their racing skills to the test during the 2016 Daytona 500® on February 21, when NASCAR hosts the first-ever Hashtag 500 on Twitter. The unique promotion, developed by Ogilvy & Mather New York, will give fans a chance to win memorabilia from this year’s “Great American Race®,” including a driver firesuit, helmet, steering wheel and set of Goodyear tires, in addition to other race-used items and gear. The Hashtag 500 on Feb. 21 is when fans must watch Daytona 500 race coverage on FOX (starting at 12 p.m. ET) and also follow @NASCAR on Twitter to receive the custom hashtag for each of 10 pieces of swag memorabilia. After each hashtag is unveiled, the 500th person to tweet the hashtag together with #DAYTONA500 will win that race and earn the free prize. “Ready. Set. Race was built around the simple human truth that all people love to race in some form – in the backyard, on their bikes or on the racetrack,” said Jill Gregory, NASCAR senior vice president, marketing and industry services. Beginning today through Saturday, fans can practice for the Hashtag 500 by competing in daily Twitter races for a chance to win unique, personal items from six NASCAR Sprint Cup Series drivers. Short digital videos featuring the drivers will unveil each day’s custom hashtag and be shared via @NASCAR and NASCAR.com/hashtag500. 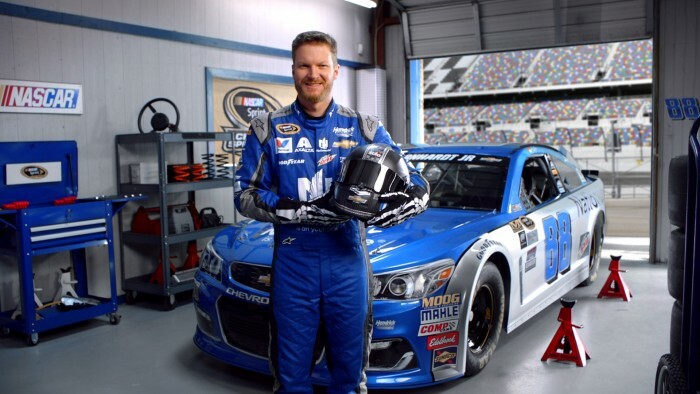 Dale Earnhardt Jr. will host today’s first practice race. The 500th person to tweet the hashtag and #DAYTONA500 will win a pair of sunglasses from the two-time Daytona 500 champion. The Sports Techie community is one of the first groups to find out what todays hashtag is: #DalesAwesomeSunglassesContest. Add hashtag #Daytona500 to #DalesAwesomeSunglassesContest inside your tweet and you automatically are entered to win. Check back tomorrow and each day this week to find out the newest daily hashtag. Follow @NASCAR on Twitter now. During the race, tune-in to FOX and keep tabs on NASCAR’s Twitter feed for a new fan race about every 20 laps. Rev up those Twitter fingers. Because the 500th person to tweet a special hashtag in each race wins. “This campaign is unlike anything we’ve ever done, inspiring fans who love to race, and creating experiences for them to race other fans on social media,” added Gregory. The 2016 NASCAR Sprint Cup Series season continues with the 58th running of the Daytona 500® on Sunday, Feb. 21 at Daytona International Speedway®. The Great American Race® will be broadcast live on FOX, MRN Radio and SiriusXM NASCAR Radio, with additional coverage on NASCAR.com. A promotional video teaser for the Hashtag 500 aired on FOX this past weekend, beginning during Saturday’s season-opening Sprint Unlimited at Daytona International Speedway won by Chase Elliott, driver of the #24 NAPA Auto Parts Chevrolet. Additional new NASCAR Sprint Cup Series creative promoting Ready. Set. Race will debut and activate this Sunday during the Daytona 500 on FOX. The creative was designed to drive home the narrative that, first and foremost, it’s a universal love of racing that connects and inspires NASCAR fans, and drives their varying degrees of passion for the sport. Fans can follow @NASCAR on Twitter and Facebook, and visit NASCAR.com for an early look at the Ready. Set. Race creative later this week. For more information on the Hashtag 500, fans can visit NASCAR.com/hashtag500. The National Association for Stock Car Auto Racing, Inc. (NASCAR) is the sanctioning body for the No. 1 form of motorsports in the United States. NASCAR consists of three national series (the NASCAR Sprint Cup Series™, NASCAR XFINITY Series™, and NASCAR Camping World Truck Series™), four regional series, one local grassroots series and three international series. The International Motor Sports Association™ (IMSA®) governs the IMSA WeatherTech SportsCar Championship™, the premier U.S. sports car series. 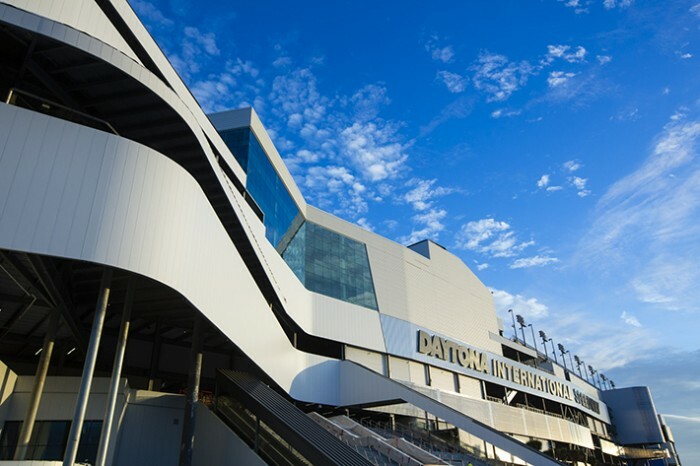 Based in Daytona Beach, Fla., with offices in eight cities across North America, NASCAR sanctions more than 1,200 races in more than 30 U.S. states, Canada, Mexico and Europe. For more information visit http://www.NASCAR.com and http://www.IMSA.com, and follow NASCAR on Facebook, Twitter, Instagram, and Snapchat (’NASCAR’). The 2016 NASCAR Sprint Cup Series season continues with the 58th running of the Daytona 500® on Sunday, Feb. 21 at Daytona International Speedway®. Sports Techie, social campaigns are part of the new norm of professional and amateur sports marketing making the NASCAR Ready. Set. Race! An online campaign that may soon become a standard across social media channels. It is an awesome time to be a fan because gamification is fun, engaging and rewarding. The Daytona 500 is roaring back for its 58th year. And for the first time, they’re giving away the real gear being used during the race. My hope is one of you lucky and passionate fans wins A VIP Victory Pack that includes the checkered flag signed by the winner and a trip for two to the 2017 Daytona 500. I personally hope to attend my first NASCAR race this season in order to meet some of the drivers and you in person. Good luck and Ready. Set. Race!